Oven Roasted Beets are ready to-use for so many dishes, that you’ll probably won’t want to cook them any another way. And it’s probably the BEST way to cook beets since the natural juices retain during cooking. I SO prefer this method of cooking beets! Store in the fridge for up-to two weeks or even freeze! Someone on Instagram mentioned how she makes a huge portion of roasted beets (peel, cut, chop or grate them) then freezes them in zip-loc bags. “A side dish, salad, or borscht ready in no time”. And I totally agree! 1. Preheat oven to 400° F.
2. 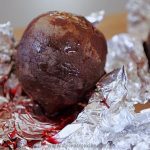 Wash beets and wrap each beet into aluminum foil. Place beets onto a large baking sheet and bake for 1 hour. Then reduce heat to 350° F and bake for an additional hour. 3. Allow beets to cool to room temperature then refrigerate. 4. FOR FREEZER: Peel roasted beets then grate, cut or chop and place into zip-loc bags; freeze. 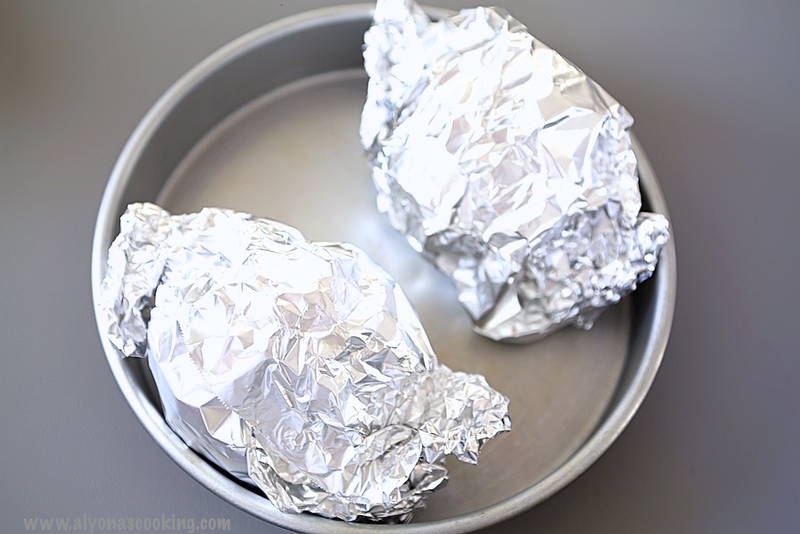 Wash beets and wrap each beet into aluminum foil. Place beets onto a large baking sheet and bake for 1 hour. Then reduce heat to 350° F and bake for an additional hour. Allow beets to cool to room temperature then refrigerate. To use: Peel skin (it should come off really easy) and cut to prefer method. 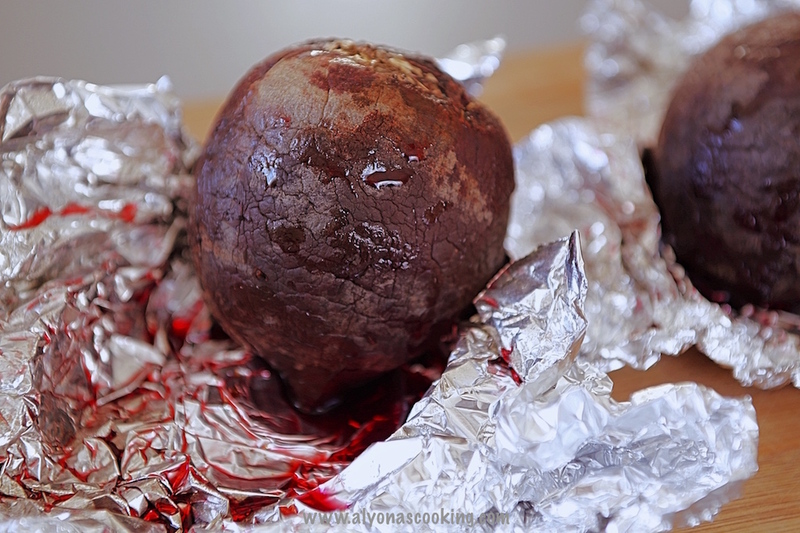 FOR FREEZER: Peel roasted beets then grate, cut or chop and place into zip-loc bags; freeze.